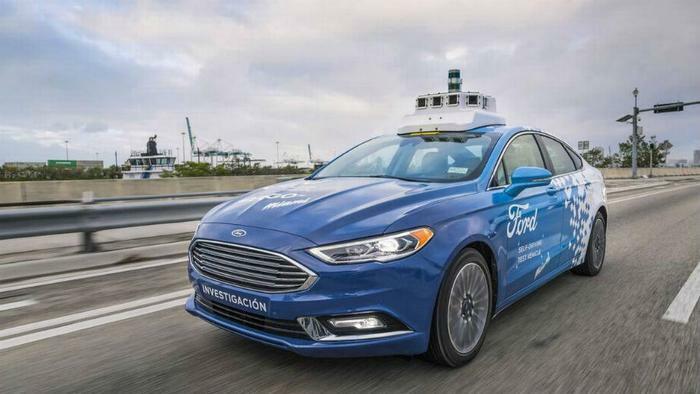 Ford announced on Wednesday that it’s teaming up with Walmart to work towards a goal of using self-driving vehicles for grocery delivery. The partnership will be based on existing arrangements that Walmart and Ford both have with Postmates, a service that delivers “anything, anytime, anywhere” locally on-demand. A pilot program in Florida will test a method of delivering items such as groceries, diapers, pet food, and other items to consumers using robotic vehicles. While the pilot is underway, the vehicles will collect data about consumer preferences to help the company identify which items people want. "Like us, Walmart believes that self-driving vehicles have an important role to play in the future of delivery, and that true success comes from first learning how individuals want to use them in their daily lives," Brian Wolf, Ford's autonomous vehicle business lead, said in a statement. "Together, we’ll be gathering crucial data about consumer preferences and learning the best way we can conveniently connect people with the goods they need." Ford says it will be testing the efficiency of different vehicle configurations and exploring modifications that could make it easier to meet consumers’ needs -- especially to “accommodate perishable goods, or scenarios where our vehicles end up making multiple deliveries on a single trip,” the automaker said. The automaker is also working on a fleet of autonomous vehicles that it plans to launch commercially in 2021. For its Walmart-Postmates partnership, Ford will use research vehicles designed to simulate an autonomous experience. “We’re confident that working with Walmart will strengthen our effort to successfully deploy self-driving vehicles in a way that people actually want to experience — whether they’re ordering takeout, groceries or anything else they might need,” Wolf said.